I’m back. Extrordianry how disconnecting for a week can leave you feeling so much more connected. My computer is still acting skittish though. Maybe he doesn’t trust me now. Lilly, my dog, is behaving a bit oddly as well. I’ve always heard that dogs have no memory and live like mindful monks – only in the moment. But I’m not so sure. I think Lilly remembers being left behind. Her wistful expression tells me there is a question in the air. We bank memories. Store them in secret hiding places. Fill the pockets of our psyches with fistfuls of experiences. Sometimes they get buried because there are so many being gathered and crammed into tight spaces. Spines. Temples. Guts. Muscles. We hold memories in our bodies and they determine our maps. Each of us becomes an atlas… alive with continents of feeling and oceans of recollection. When I was in Mexico I discovered a plant by the name of Mimosa Pudica. 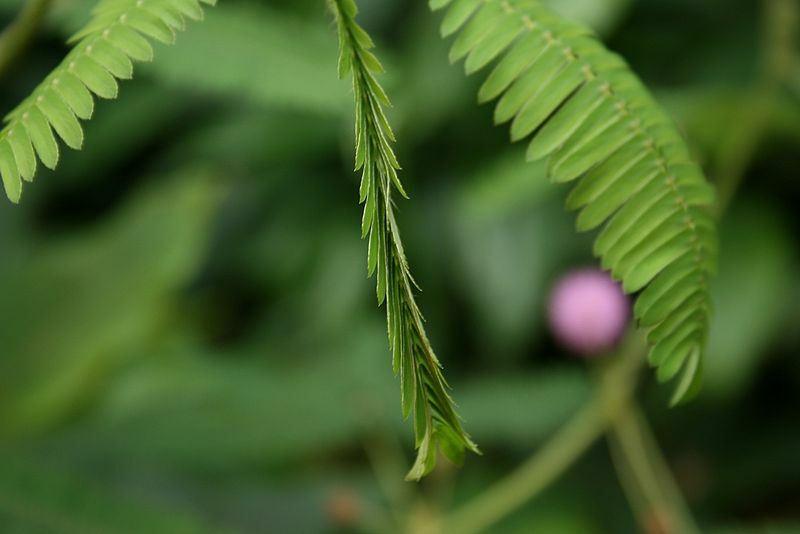 It has a delicate fern like leaf, not dissimilar to many other plants, the difference being this plant appears to have a memory. When you touch it, even lightly, the leaves tilt up and inwards, like finger tips meeting in prayer. Don’t hurt me. The mimosa is programmed to protect itself. Pudica in Latin means “shy, shrinking or bashful”. Apparently the Mimosa is also referred to as The Sensitive Plant or the Touch Me Not. Sensitivity is often regarded in our society as a weakness. “Oh… he/she is soooo sensitive…” as if the word itself is a tender spot that turns a tongue painfully pink when spoken. On the contrary, I truly believe that sensitivity is a blessing. But for those of us with the label it can also be cumbersome. Like the Mimosa plant it might result in excessive self preservation. A closing up too soon. A touch me not mentality, when in truth we are longing to be touched. Somewhere, deep down, we hear the echoes of distress. We remember stings and burns and bites, and we employ all our energies to prevent repeat performances. I was entranced by the Mimosa plant. I kept brushing against the leaves. I kept watching them close. I kept imagining that somehow I could entice this organism to trust again. To remain receptive. I didn’t. Eventually I wandered back to the beach, with a new resolve. I can’t alter the DNA of the Mimosa, which has clearly evolved with a greater purpose, but I can continue to lightly retrace my own steps. Explore the contours of my memory map, through writing and reflecting. And in doing so, recognise the times I flinch and wilt, anticipating the same hurtful outcome, instead of remaining open and inviting in a fresh response.